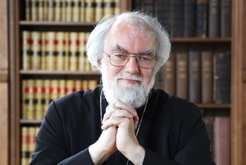 Many Episcopalians simply cannot understand why Archbishop of Canterbury Rowan Williams, who, we were told, would be a liberal archbishop, has turned out to be such a disappointment. The explanation, I think, can be found in an interview with Williams in The Big Issue in Scotland. I n this brief quotation from the “spiritual head” of the Anglican Communion lies the answer to why the archbishop seems intent upon destroying the Anglican Communion as we have known and supported it. This man thinks the Anglican Communion is a church, and he is working to preserve the coherence and integrity of a church, a task that would simply be unnecessary for a communion, where such lockstep unity is not a requirement. Rowan Williams is, of course, well educated, and he cannot be ignorant of the history of the Anglican Communion or of the great resistance in the past to centralizing decision-making within it. The problem, as I see it, is that Williams is very catholic in his outlook and, in his heart of hearts, would like to see Anglicans unite with Roman Catholics. Such a union can hardly be effected when Anglicans cannot seem to unite even with one another. Whether the Archbishop of Canterbury’s dream of ecclesiastical union has created the delusion that the Anglican Communion is a church or whether he has chosen to embrace a lie in the furtherance of his ecclesiastical goals I cannot say. Neither explanation is very flattering. Lionel, to say that the ABC hates us is perhaps a bit over the top, but he surely doesn't seem to like us very much. I wonder, too, if the repeated use of the term "church" to describe the Anglican Communion is part of a "putting facts on the ground" strategy. Say "church" enough, and folks will actually come to believe that Anglicans are part of a world-wide church. When will we have the name-change, and what will the new name be? Well, your title got my attention, which I suspect is exactly what you wanted. In my most generous moments, I suspect that the problem with the ABC and "church" and "communion" is that, in England, the CofE IS the "Anglican Church". So, he's talking locally and globally and "something gets lost in the translation". When I'm not feeling so generous, my hermeneutic of suspicion is in over drive and I think Mimi may be correct. Elizabeth, I don't really believe that Rowan has the kind of mind to use the strategy I've described, but without that surmise, I'm completely mystified as to what he's about. Perhaps you're right in your generous interpretation, that he confuses the two terms, not in his mind, but in his speech. The task force of Executive Council that has overseen TEC's responses to the proposed 'covenant' has consistently raised concern about the repeated use of the word, 'church,' when referring to the 'communion.' I agree that if it is repeated enough, it will become fact. Look what has happened with the Virginia Report, Windsor Report and Lambeth I.10 and the distortions that have come out of those three pieces of writing and how they have morphed into holy writ. So it is not a matter of "delusion" but of desire displacing perception. He wants the AC to be a church and so he "sees it forward." It struck me late last year, that a perfect summary of Rowan's attitude to TEC and other "progressive" churches of the communion would be: "I have sacrificed my conscience and my friends for the sake of unity, and I don't see why you shouldn't do the same." If you grasp that, you will understand much of what he does and says, including his longing glances Romeward. He is captivated by an idol called "Unity." Your explanation isn’t any more flattering than mine. It’s all very sad. Lionel, I'm not trying to be flattering, merely truthful. I do not think the Archbishop hates TEC (even if, as you suggest, that was a "grabber" headline...). Nor do I think he is delusional. If you really want to understand him, and I think you do, it is best to look at his actual actions. I think my "theory" provides a clear answer to the apparent contradictions: He is a "liberal" in terms of some issues, but he places those liberal values on a lower scale than Unity, which is his highest value. He has said this many times over, and his actions are in keeping with those statements. Moreover, he is observing the Golden Rule to the extent that he isn't asking TEC to do anything he hasn't done himself. I know from personal conversation with him how devastated he was by the Jeffrey John affair, and how he felt compelled to do what he didn't want to do. And the explanation is, in his own words, that allowing John to go forward would have led to schism in the C of E.
Now, of course, he's still got the schism. But that's not because of delusion or hatred, but because he has no political savvy, in spite of his keen theological mind. He gave in to the bullies instead of standing up to them, and still nurses a hope it will all work out in the end. (As indeed it will, though with a much changed Anglican Communion, with the Gafcon in schism). You might of course also observe, as I have, that Obama is in much the same circumstances; just substitute "bipartisanship" and "liberal vision" for the appropriate terms in the equation. Personally I don't find Rowan to be an enigma at all; much as I disagree with his approach, I think it perfectly comprehensible once you get past thinking "liberals must always follow a liberal agenda." I recall the old cartoon from the New Yorker showing a man punching himself in the face. The caption: "A liberal gets even." Voilà Rowan! In some ways the Rodney King of Anglicanism. Perhaps it all makes sense once you posit that people are here to serve the Church and not the reverse. I do not find this a Christian attitude. The Golden Rule, of course, fails as a useful guide to Christian behavior if you are a masochist. Like so many passages in the Bible, “Thou shalt love thy neighbour as thyself” must be interpreted as a general principle, rather than an absolute requirement. Lionel, perhaps I'm just not following you here. I am seeking to offer an explanation for Rowan's behavior, not saying I agree with it. I think his valuing Unity over justice or truth is utterly mistaken. But I think that is why he acts as he does. He knows the history of the communion very well, but thinks a movement towards greater centralization and unity is a good thing. That is his "value." I can disagree with that "value" -- as I have -- without calling him a liar or delusional, or flattering or vilifying him. I think he is mistaken in his values, and politically inept even in achieving his goals. (In part because I think his goal unachievable given the diversity of views in the Communion.) He has failed to learn a key truth of leadership: that in controverted times you cannot please everyone. His approach up to now has been to turn to the "liberals" of the West, whom he believed like himself would value tolerance, getting-along, and so on over justice and truth; exercising "gracious restraint." He turned to the liberals for this because he knew full well that the bullies of the GS would not by any means give in. Well, in fact the House of Bishops and the PB blinked -- gave him a marginally placating B033, which of course was not good enough for the GS. "Fail" on two counts: 1) thinking TEC was as wishy washy and set on "unity" as he was, and 2) that anything other than capitulation would answer the bullies. There is no mystery here, though there is error and lack of leadership. "I have sacrificed my conscience and my friends for the sake of unity, and I don't see why you shouldn't do the same." Tobias, if that is, in fact, what Rowan asks us to do, then I find it a troubling request from a Christian leader. He [Rowan] wants the AC to be a church and so he "sees it forward." Then, he is using the "putting facts on the ground" strategy. In many ways I agree with Tobias. I don't think the ABC hates TEC. And I don't that the issue is liberal/conservative. I do think that the ABC does not want the church to split on his watch. I also agree that +Rowan is deeply catholic and sees unity and obedience are values he uphold rather than independance and freedom. And consequently he thinks of the Anglican CHURCH and the Anglican Communion as being one thing. I refuse to demonize him while at the same time I refuse to buckle under to his vision of the institution of the church in the world. Mimi, I doubt if the ABC really has an idea of what is going to happen. He feels that more organization will help unify us even when the organization he proposes will clearly be schismatic. He is a bit delusional about the covenant in that way. Because he SAYS it isn't going to be divisive, it WON't be in his mind. And he hasn't yet been convinced by the churches in the communion that it will be. Muthah and all, I don't think the ABC hates us, although he seems not to miss an opportunity to scold us. If a parent's main attention to a child is to scold them, it's no wonder if the child doubts that the parent cares for them. Even the RCC, with its centralized authority, allows for freedom of conscience in its members. Dear Mimi, I think you are right about the "facts on the ground" approach. He does a lot of "acting as if" -- and now I've got a nagging deja vu sort of tip of the tongue thought, some film or story where a young man comes to understand that "acting as if" is the way out of his problems. Anyone? As to the request being troubling -- and please remember this is a vision I had of what I think he might say, and not something he actually said! -- again it has to do with a hierarchy of values. Rowan does not see liberty as a value, or at least not as high a value as unity. I think cases can be made for both values being "Christian." Where he fails is in asking others to do more than he has done. I wonder if he had said, at the time of the Jeffrey John affair, not, "Dear Jeffrey, please stand aside" but "If Dr. John is not appointed to this see I shall tender my resignation." That would have been the right thing to do, in my opinion. 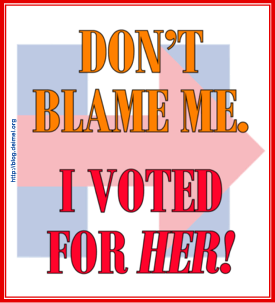 And it might have called a bluff and things would be no worse now than they are, and perhaps better. But that is hindsight, and reflects my values rather than his. I think you would make an excellent Archbishop of Canterbury. Of course, 37 provinces of the Communion have no say in the matter, so your chances of attaining that office are slim. In fact, only a handful of people even in the Church of England have a say in the matter. Just remembered the story: a British comedy series about a young gay boy growing up in a middle class community. Beautiful People I think it was season 2.4: How I got my Camp. Ha! Hoist on my own pétard! Where he fails is in asking others to do more than he has done. Tobias, you've hit the nail on the head there. And our leaders did the same with B033 in asking our gay and lesbian brothers and sisters to make sacrifices for the sake of unity which the rest of us were not called upon to make. Rowan Williams presents as a humble man. But he is not. From the start of his reign he has assumed powers to his office that have never belonged to the ABC. Examples of this were his interference in Oxford's decision to appoint John as their new bishop and his disciplining of TEC and other provinces. Therefore, I think it perfectly valid to conclude that his craving for an international Anglican church, rather than a communion, has as much to do with increasing his prestige and authority as it has to do with any philosophical hopes for a unified catholicism. I think MP raises a good point. Rowan too often lets the mask slip and the irritable "why can't you just do as I say" peeks through. Combined with his personal philosophy, that "his" best is actually "the" best, there isn't much wriggle room. He is, as Grandmere observes, a master at putting facts on the ground; then he acts helpless. "Acts" being the key word. Hate may be the wrong word, but then one would have to come up with the correct one. I suppose one might re-write the title, "Why the ABC is willing to kill gays and destroy the communion." But then how is that better? When the discussion centers on whether he is deluded, hateful, incompetent or merely determined to make Richelieu look good, who cares? ¨acting as if¨ is playing pretend...if you KNOW you have a problem with authentic good character, usually, one does/attempts to do something about it. Almost any positive action is good except denying the ¨character¨ problem exists or will go away or be forgotten/ignored! Of course, taking action by facing flawed character first requires admitting the *trouble* (hopefully before ones family/community and God)...Rowan Williams admits nothing and pretends he ¨knows¨ what is best which he doesn´t--very disturbing when one considers the far-reaching promotion of falseness he pushes for in order to live in his very own ¨sensible¨ world of walking-on-eggs Churchfaking. Rowan Williams does nobody any good with twisted religious fantasies that he engineers...meanwhile cowardly refusing to face genuine truth, justice and basic virtue when it comes calling on Lambeth Palace (and it does)...the ABC is spiteful and vain and I don´t believe for a minute he ought be first amongst anyone when he refuses to honor his conscience...the one he overides while ¨acting as if¨ he didn´t have one. LGBTI Anglicans are being persecuted/demonized and excluded at Church (most all) as he attempts to wash his mind/understanding of the whole miserable and untidy thing.